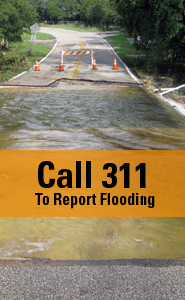 This project will reduce the risk of flooding near Avenue A in the Hyde Park neighborhood. 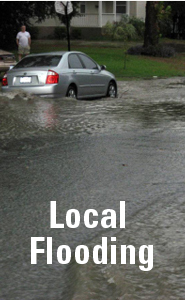 The type of flooding that is occurring in the project area is known as local flooding. It generally occurs away from creeks in areas where the manmade drainage system of pipes and ditches are overwhelmed by heavy rainfall. In this case, when the neighborhood was developed, we suspect that an entire creek or small tributary was diverted into the storm drain system and roads and possibly structures were built where the water once flowed. The map below is turned on its side with north towards the left. It shows the proposed solution. Click on the map to download a larger PDF. The project is currently in the design phase with construction anticipated to begin in 2022. The estimated cost is $39.2 million. Email Stephanie Lott to receive email updates about public meetings or the completion of the study.